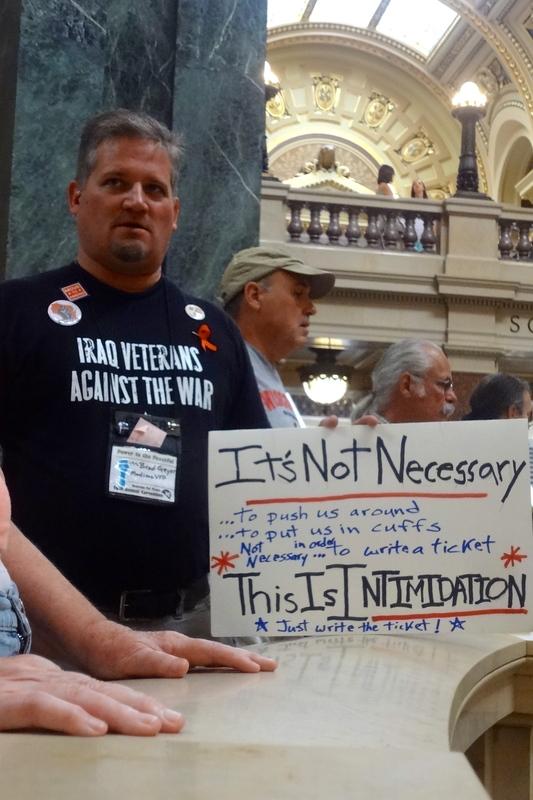 I spent last week in Madison at the Veterans for Peace National Convention. I had some free time at noon on Wednesday, August 7 and went over to the Capitol Building. I was on the first floor balcony observing the Solidarity Singers when three police officers came up behind me and stated I must leave the building or I would be arrested. They didn’t say I would be “subject” to arrest, they said with a lot of certainty that I would be arrested if I did not leave the building. I left. We had 320 veterans at our convention. Many of these people shared my experience and a few were arrested. I believe all who were arrested were actually singing. Many of the veterans were shocked at what was happening at the capitol. They thought Wisconsin was a progressive state that had a proud tradition of protecting our freedoms. Unfortunately, the word is “had” a proud tradition; that tradition is gone now and what we all observed at the Capitol was more akin to a police state than it was a functioning democracy. 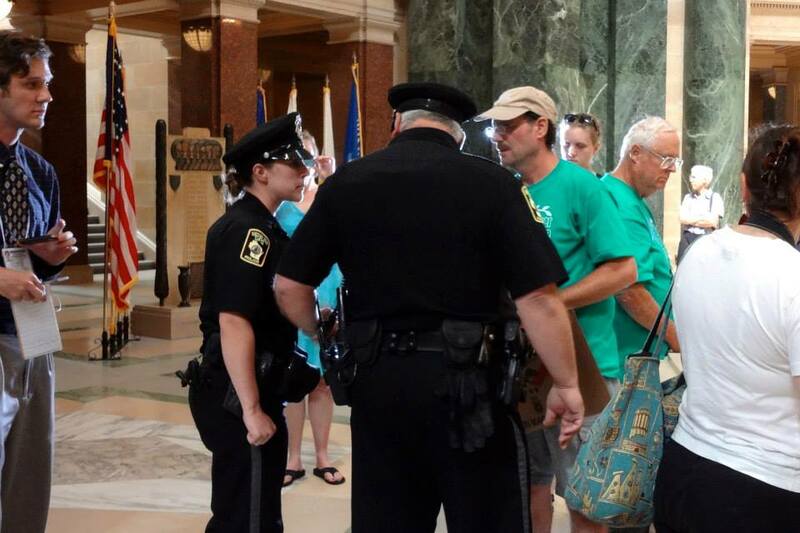 Senator Cullen, I am embarrassed and greatly disturbed at what is being done by the Capitol Police. Being told I had to leave the building even though I was just observing the singers was an outrage. I believe this policy has changed, but even if it has, the whole idea of attacking our freedom to assemble, our right to free speech and our right to observe happenings in a public building is frightening. For every veteran who has served this country and especially to those who gave their lives to protect our freedoms, what is happening in Wisconsin is horrible.